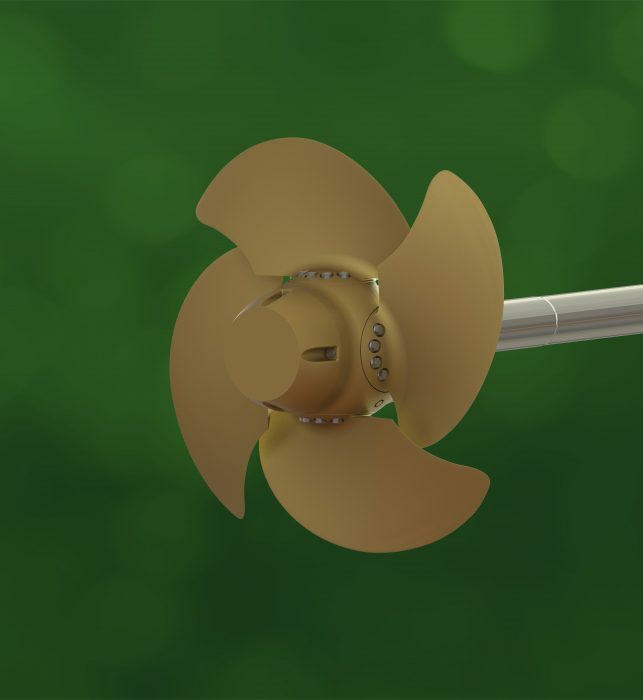 Controllable Pitch Propellers are particularly suitable for boats that require variable propulsion power conditions in terms of speed, bollard pull and maneuverability. Fixed Pitch Propellers are typically suitable for long voyage vessels, which do not require operating at variable speeds. High propulsion efficiency, optimizing maneuverability: passing from “ahead” to “reverse” occurs smoothly and without dead time, simply through propeller pitch inversion. Very short response time while maintaining full power ensures higher safety for the ship and crew, and reduces the stopping distance of the vessel considerably. More efficient use of the diesel engine: 100 % engine power remain available at the propeller in every situation (cruising, trawling, maneuvering, etc.) Furthermore, a Controllable Pitch Propeller allows constant operation of the engine at its nominal speed, thereby significantly reducing the fuel consumption, maintenance cost, and clutch disc wear.